When you open your mind to learning and growing, you discover opportunities everywhere around you. Over the past ten years, mountain biking has become a parallel universe for me to learn about myself and the world around me. As my enthusiasm for this style of learning has developed, so too has my love of mountain biking. 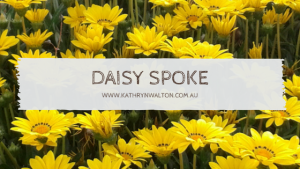 I wanted to share my excitement with everyone around me and so I began my blog, Daisy Spoke. 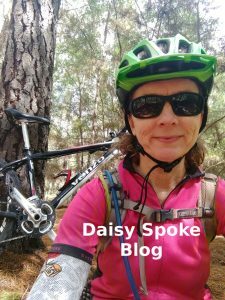 And my very first post in Daisy Spoke was “5 Things I’ve Learned About Life Through Mountain Biking”. 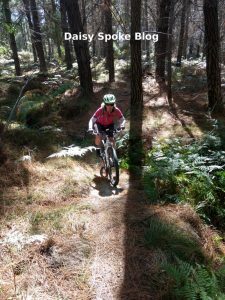 So ….. now here at last are another five ways that mountain biking has helped me to keep learning and growing as an individual! I instinctively look straight down in front of me when I ride my bike. This means I wobble a lot and react to every little lump and bump in the terrain. Having a one way staring competition with the trail right in front of me does me no favours. My imagination fixates on small details that don’t really matter. I didn’t even realise this was happening until I learnt at a coaching session the importance of looking up, to keep my eyes focused further along the track. This gets me into flow and enjoying a smoother, more connected ride. I’m still learning to trust myself, to have confidence that my brain has registered the terrain directly in front of me and that my body will know how to handle it. Every ride is a reminder to keep my sights focused ahead in all areas of my life – my work, my personal life, and my riding! The bumps and jumps are all part of the fun of mountain biking – in fact a very large part of it! But it’s taken me a long time to see it that way. Fear of falling and lack of confidence creates tension which in turn leads to a rigid framework, sore muscles and stiff joints at the end of a ride. Learning to relax my stance and go with the bumps instead of resisting them is an ongoing process. Mountain biking gives me the opportunity to experience a sense of lightness instead of a sense of lack of control. I can visualise my legs as natural built-in shock absorbers. With improved inner resilience, or bounce-ability, I’m also able to relax a bit more in life in general, to see past the hiccups, and rise above the challenges. Having ridden mostly on smooth paved surfaces like roads and bicycle paths for most of my life, it’s been a huge learning curve getting onto mountain bike trails. You need to move your weight around constantly adjusting for the ever-changing terrain. Forward and back, side to side, up and down, as well as every possible combination of these movements. The hard lesson is that if you don’t shift your weight around you can’t get up that hill, or down that steep slope, or round that tight corner. Riding can quickly turn into hike-a-bike (which isn’t much fun) or hitting the ground (which also isn’t much fun). So when I ride I try to be conscious of how I move my body – above and around my bike frame. As in life, the more you move around, the more fun you’ll have and the healthier you’ll be. A distracted mind is on a road to mishap. At least, that’s my experience on my mountain bike and life in general. On my bike, the terrain is constantly changing and I need to keep my wits about me at all times. 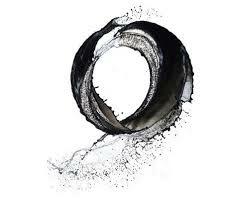 When I tune my sensory antennae into the environment around me, I’m fully present in the here and now. At least that’s the theory! The reality is that sometimes when I’m riding my mind wanders off and suddenly, oops, there it is, a rut the size of the Grand Canyon about to swallow me and my bike. 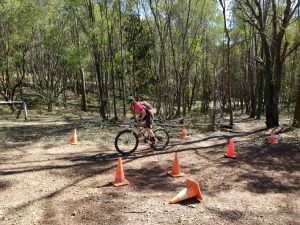 It’s an ongoing learning process of training my brain to come back to the present, Not only does this make me safer on my bike, the ride is heaps more fun too. The same technique applied to other areas of life can lead to more satisfying relationships, more efficient and effective business decisions, and reduced anxiety. Throughout life I’ve tended to focus my energy and attention on things that come most easily to me. If I couldn’t do something perfectly the first time, I’d usually move on to the next thing fairly quickly. 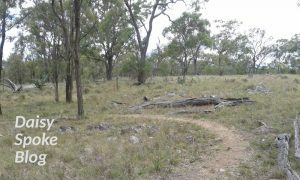 As far as mountain biking goes, I’d had a few short rides on unpaved paths and paddocks over the years but didn’t develop much interest in “that kind of riding”. I’d fallen off a few times so there wasn’t a lot of incentive to keep going, so my bike tended to stay in the garage most of the time. A few years ago I decided to give it another go. Maybe there was an inner knowing that it would open up a whole new world to me, that there was much more to be gained from riding than simply mountain biking skills. With the support of my Courage Coach, I learned to develop persistence and this has had a profound impact on me. I’ve discovered how valuable persistence can be when life gets tough and I feel like giving up. 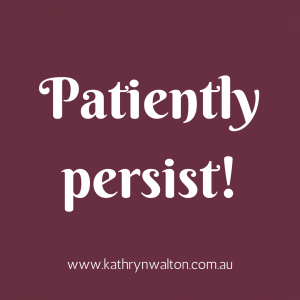 Persistence speaks to that fiercely determined part of my soul and keeps me trying, practising, modifying, trying again, and finding ways to bring my hopes and dreams into reality. I’ve learned that I can work really hard at things that don’t come naturally to me and to experience immense satisfaction from that! Life can hand us plenty of frights, flights and fears but it’s good to look back occasionally to see how far you’ve come. I’ve been reflecting on this over the weekend when I noticed some old fears resurfacing, and rather than get caught up in the stories they told me, I chose to look at how far I’ve progressed. 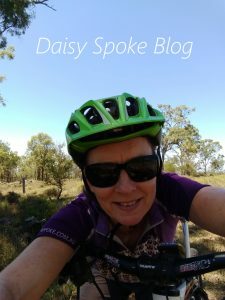 I was eager to get back on my mountain bike after a couple of weeks away road tripping, bushwalking and trail running which I absolutely loved, but I also love riding my bike and was missing it. When I started riding on the weekend, I noticed some of those old worries pop up that only surface when I’ve been off my bike for a while. They used to hang around me a lot. Well actually, most of the time! But I’ve worked really hard at keeping them in their place in recent years. Deciding to blog about them has been one of the most empowering actions I’ve taken. They could no longer lurk away in the dark depths of my mind, stewing and multiplying and expanding by the minute. Many of them simply lost their power when I brought them out into the light of day. 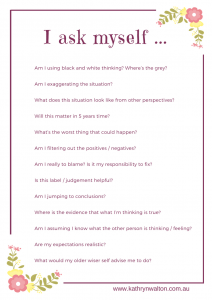 Have you read my blog about how I worked through a step-by-step process to manage my fear of “the scary corner”! 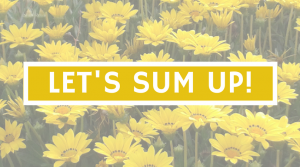 …..and so on and so on. It was very loud in my head! NOW I want to say that the most powerful step YOU can take if you find yourself in a similar situation is simply this: NOTICE what’s going on in your head. Simply NOTICE. The situation doesn’t’ have to be about riding a bike. It might be the thoughts you have associated with speaking to an audience, introducing yourself to someone, going out in the dark, driving in the city traffic, swimming with sharks, flying on a plane, or absolutely anything at all! Simply NOTICE what your mind says. 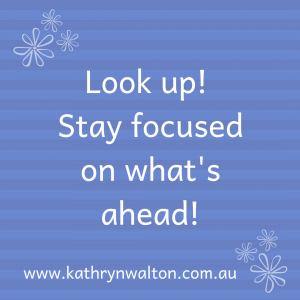 And with the power of noticing what’s going on in your head, you can then choose what to do next. And so I focused on how strong I felt and that all the recent running has made a positive difference to my strength and aerobic fitness. I enjoyed the feeling of sprinting up a couple of short hills engaging my quads in an exertion that a couple of years ago would have been painful (if not impossible)! I pedalled in a higher gear than normal and found it easier than expected. I noticed what I did well and trusted wholeheartedly that my confidence will be back real soon. I glanced down at my fabulous new “tough girl” socks reminding myself of my strengths and the stories I can tell myself about what I CAN do. 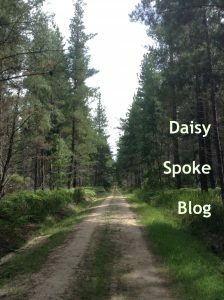 And as I looked back over the past few years, I could see how far I’ve progressed in managing my fears on the bike. I’ve developed resilience and practised some of life’s most valuable skills that I’ve transferred into other areas of my life. 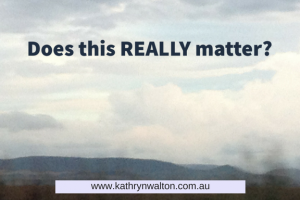 Yes, frights, flights and fears will always be there, but you can choose how to handle them. Practise. Persist. And occasionally look back to see how far you’ve come. 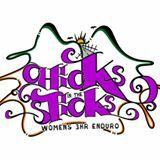 Do you know what drives me to do the work I do with groups of women and health professionals? 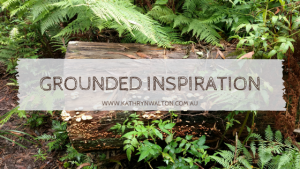 It’s the fact that there are so many things I wish I’d known when I was younger – things that could have made a difference to my life and to my happiness if I’d known about them, made sense of them, and felt confident implementing them in my own life. Being stuck in anxiety, sadness or anger stops many people from living truly satisfying and fulfilling lives. 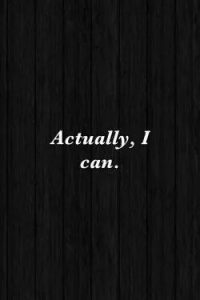 With many years of working in the mental health industry as well my own personal experiences, I feel an unstoppable drive to keep moving forwards, to keep expanding my reach to build up people’s knowledge and skills, to make a difference in the world with as many people as I can. My mission is to share information and inspiration that empowers women towards a genuine and deep sense of wellness. And by doing this the ripple effect will have an even greater impact. Today I’m sharing with you 3 things I wish I’d known when I was younger. Daily exercise and general physical activity are crucial elements of feeling good. Just as some people might need to diligently take medication every day, I need to exercise every day. Exercise is nature’s way of stimulating the hormones which aid concentration, problem-solving, sleep, digestion, and mood. This daily dose of exercise rebalances our body’s systems resulting in wide-ranging benefits that no single medication can provide. The research is absolutely clear that regular medium to high intensity exercise can have a profound effect on health AND happiness. 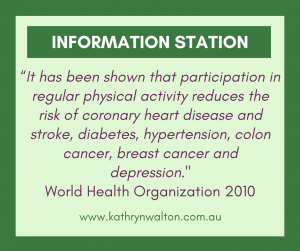 What types of physical activity and exercise do you prefer? 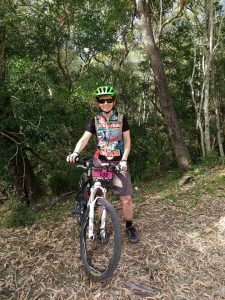 I’ve always loved bushwalking, and in more recent years I’ve become really enthusiastic about mountain biking. I call mountain biking my ‘parallel universe’ because it not only provides me with a very regular dose of fun exercise, family time and social interaction, but I’ve also learned the most amazing life lessons from it including managing fears, growing resilience, and developing mindfulness. 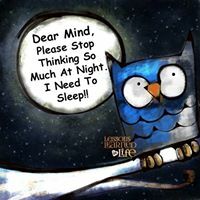 Sleep is vital for optimal brain function including mood management. Quality sleep restores the mind and body. It improves concentration, problem-solving, reaction time, capacity to think clearly, organise ourselves, plan, learn … and the list just goes on. But getting a good sleep is easier said than done for some of us. There are many skills to getting a good sleep and there are many things you can control when you understand how sleep works. So, the lesson here is to educate yourself about sleep – sleep cycles, circadian rhythms, body clocks, and sleep hygiene. The most common helpful strategies include exercise (especially in the morning), exposure to early morning light (this resets the body clock so you start to feel sleepy in the evening), reduce caffeine (especially in the afternoon) and learn relaxation and stress management skills. Another vital strategy here is to learn about AND practice mindfulness – every day (not just when you have trouble sleeping). Which leads straight into my 3rd tip! Minds are such complex things! They wield a lot of power over our emotions and our actions (including sleep). But unless you notice what’s going on in your mind, and choose how much power to give it, your thoughts, assumptions and beliefs will control you instead of the other way around. The habit of being hooked by thoughts or strongly attached to them is limiting and anxiety-provoking. The key here is to begin by simply noticing what is happening in your mind, and by doing this with curiosity and without judgement. The power is in the noticing. You’ll collect all sorts of interesting bits of information about how your mind works, what thinking patterns it gets locked into, what beliefs and assumptions are behind it all, and how all of this impacts your physiology, your behaviours and your emotions. 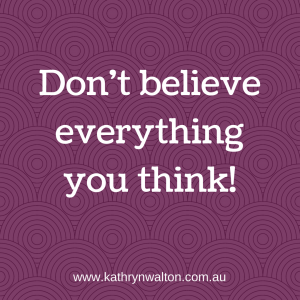 One of my favourite sayings is “Don’t believe everything you think!” because we can learn to stand back, notice the thought and choose whether to believe it, or not. So there you have it. The 3 key pieces of information I wish I’d known (and understood, and implemented) when I was younger! HEADWIND, how you frustrate me. You visit without warning in all seasons. You turn a fun time into suffering. You change direction without warning. Swirling, confusing. In SUMMER, you bring the hot dry desert to greet me as I walk out the door to ride. Thirst and weariness always by my side. Dust and dirt worn with pride. In WINTER, you sneakily invite the Antarctic spirits along for the ride. Icicles and frostbite ripping at me, destroying my soul. In winter you take a toll. In SPRING, you howl and whistle all around me, invading every space, disturbing every peace. Your gale force beckons fears and nightmares. Felling trees. You have no cares. In AUTUMN, the chill is in your breath. Pushing me. Compelling me. Exerting force. You face me on the open hill. A reminder that change is inevitable. HEADWIND – you are a force. Meet me face to face or back and forth. Strength training is all I need. Ensuring power is matched with speed. But, OH HEADWIND, honoured be your cause. The summer flies are no match for thee. Gladly I face you as I ride east. Goddam flies! Pesky beasts! The Forecast is for …. FLIES! This season’s forecast is for flies. It happens every year right about now. No matter what else the weather does, it always seems to set the right conditions for flies. And there’s no escaping it. I generally consider myself an earth-loving kind of person. I think there’s a place for everything and everyone, but I really do have trouble allowing flies to have their space, or at least sharing it with me. I look forward to my morning run, walk or ride. I love being outdoors. I love exercising. I love nature. But I definitely struggle with flies. So here was I this morning revelling in my ride when a fly tries to crawl into my left ear. Now that on its own makes my skin crawl. But then a swarm came at me. One on my sunglasses. One under my sunglasses. One in my eye. One on my top lip. Yew!!! Dozens on my legs and arms torturing me as they tickled, wandering aimlessly all over. But it didn’t end there. What’s a girl to do when she’s being swarmed upon by flies while riding MTB? Not only that, but the trail suddenly got a bit tricky right at that moment when the fly attack took place. Can’t take hands off bars. Can’t swing arms or legs madly to chase them off. So I tried the only thing I could think of. I blew really hard, aiming my breath for the one on my lip whilst simultaneously visualising a force of air blowing out my ear, expelling yet another one. Scrunching up my eyes, squinting to see ahead so I could dodge the rocks and stay on the trail. Holding my breath as I rolled through the narrow gap between the trees. Whew! Made it! Then the immense relief of being able to brush the flies off my face with my hands, take a deep breath, and remind myself we all have a place in this world. As I pedalled on up the hill, I hoped to find a fast downhill section of trail on the other side, the perfect set-up to outrun my nemesis. 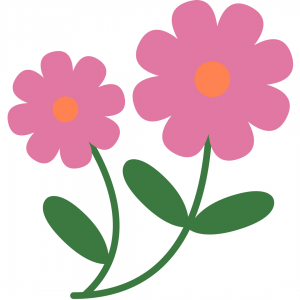 Accidentally getting it right – OR DID I? 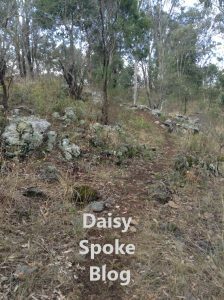 There’s been a rock garden at the beginning of our mountain bike track on our home property ever since we built it. It’s always daunted me, especially being right at the very start! I’ve been pretty proud of how I’ve come to face some of my fears along parts of our short track including this rock garden at the beginning. As time has gone on, my progress has gone from bike hiking through the entire length of the rock garden, to riding through the first couple of metres then walking through the next bit, to finally being able to ride most of the rock garden and dabbing my right foot once or twice on the boulder on my right as I squeeze through the narrow gap between the craggy rocks. I often walk or run along our trail as well. It’s so accessible and I don’t need to go any further afield to step into our beautiful Australian bush country! As I’ve traversed the trail over the past few months, I’ve sometimes stopped to look at the rock garden and visualise myself riding through the narrow gaps between the rocks without clunking my pedals. I knew that I would need to develop a lot more skill, line accuracy, confidence and power to ride this section. 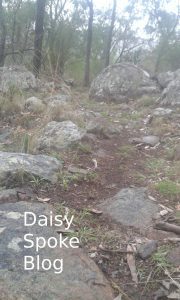 Basically I’d been riding it so slowly that I didn’t have enough power to get over the craggy rocks. 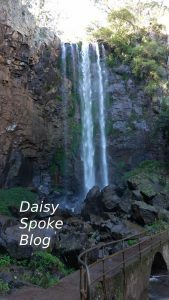 Although I enjoyed my brief little fantasies of riding effortlessly over and around the rocks, I certainly didn’t have much hope that I’d ever actually be able to do it. Last week I was closely following my husband as we rode the trail. Normally I’m a long way behind and do my own thing. I watched the line that he took through the rock garden and without even thinking about it I probably followed a very similar line, dabbed my foot once on the big boulder on the right, and kept going. I noticed quite a powerful thought come to my mind “Wow that seemed pretty much seamless.” Even though I’d dabbed my foot, it felt smooth and flowy. A few minutes later as we rode the trail loop again, I was conscious that I was thinking about something that was upsetting me. I wasn’t very mindful of where I was or what I was doing. Suddenly I realised I’d already ridden through the rock garden! 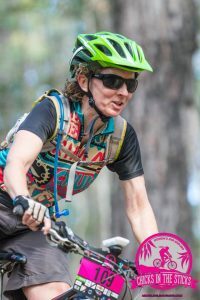 I hadn’t dabbed my foot, I didn’t jab my pedals, and the smooth flowy feeling hit the pit of my stomach and came out of my mouth with a loud shriek, my previous upset forgotten in a moment of elation as I realised what I’d done. I’d accidentally got it right! OR HAD I? What acknowledgement do I owe MYSELF for the consistent work of practising, the walking it through, the visualisations? How often do I mindlessly disregard something I’ve achieved seeing it as a random event which I’ve had no control over? 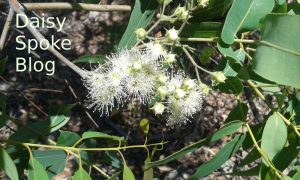 How would it be if I paused for a moment to celebrate my work and my successes, however small they might seem to another? Would this impact my perception of progress over time and keep my enjoyment and motivation rolling along? 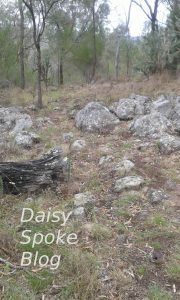 Today as I walk the same trail and peer along the rock garden, I can clearly see the line that I need to take on my bike. The rocks seem so much smaller than before, the gaps between them seem so much wider, and I realise just how powerful the images and thoughts in our minds can be. 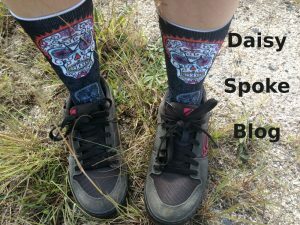 Posted on October 27, 2017 Author kwwpadminCategories Active Lifestyle, MTBTags accident, acknowledgement, Australia, bike hike, celebrate, commitment, confidence, consciousness, consistent, control, encouragement, enjoyment, fear, flow, images, judgemental, mentality, mind, mindful, mindless, motivation, MTB, pedal, perception, power, powerful, practice, practise, progress, random, rock garden, single track, skill, success, trail, visualisation, women's cycling, womens mtbLeave a comment on Accidentally getting it right – OR DID I? For nearly 2 weeks the weather has been drizzly and windy. It’s exciting to see the browns turn to bright greens as the water soaks in and gives us hope that we won’t forever more be living in drought. 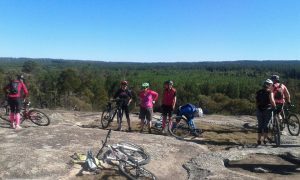 But with our usual MTB trails and State Forests closed until the ground dries out, we have to get our fix in other ways. Here are 13 different things that I’ve been doing instead of riding in the great outdoors. What other ideas do you have? 1. Baking. Especially coffee muffins. Perfect for your next mid-ride snack! 2. Go for a walk. If you can’t do it on two wheels, do it on two legs. Get out of doors, into nature and breathe in that fresh air. 3. Pace out that tricky section of MTB trail that gets you stuck. As you become more familiar with the tricky technical bits, you’ll be able to find a line and visualise yourself riding it. A great set-up for the next time you ride. 4. Spring clean that cupboard that’s been on your to-do list for months but you’ve been too busy riding to get to it. Admittedly, not as fulfilling as riding right now, but think of your sense of satisfaction as you cross it off your list knowing you’ve well and truly earned your next ride. 5. Rearrange your furniture, reorganise your shed or change-up your bike storage. The process of sorting and organising can be inspiring as well as energising, and flows into other areas of our lives. 6. Plan your next holiday or MTB adventure. Read, research, talk to others, plot a route on a map, create a budget, make some bookings. You know you want to! 7. Give your bike/s a bit of love and care. Catch up on your maintenance and servicing activities to keep your best buddy rolling along through your next adventure. 8. Remember those hobbies you used to have before you discovered the joys of MTB? Yeh, well they’re still waiting for you, so make the most of the rainy weather and immerse yourself in your other loves. 9. Go on a picnic with your family. You know, those other non-riding people you live with? Show them a bit of love and maybe at the same time you could check out that new trail in preparation for the next time you go riding! 10. Core strength training. We all know that MTB is so much fun that we make that our priority, and the added extras like core strength training are a bit hit or miss. So unroll your yoga mat while you have the chance and work those abs! 11. Gardening. It’s amazing how much strength training you can accomplish by even gentle weeding, pruning and digging in the garden. You’ll be sore the next day – proof that you’ve worked those muscles that have been sadly neglected through focused bike riding. 12. House management tasks. Get them done now while you can. Tomorrow could be perfect riding weather and you don’t want to be stuck in the house cleaning or needing to go to the grocery store when you could be outside with your friends riding. 13. 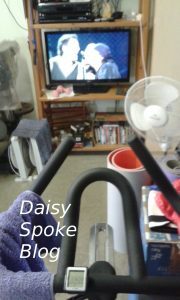 Indoor training. Interval training on the stationary bike to your favourite rock music that gets your legs spinning, your heart pumping, and the time flying by. Bruce Springsteen’s my all time favourite. Nothing beats a good workout to the tunes of “Come on up for the Rising”, “Waiting on a Sunny Day”, “Rosalita”, and “Born to Run”. 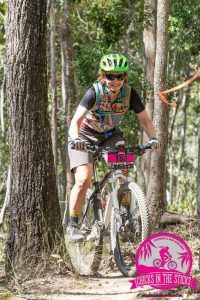 You’ll feel the difference in your fitness next time you have a real dinky-di outdoors-y MTB ride! The three best things about MTB. Hmmm ……. only 3? Okay, well ….. let’s see how this goes! 1. It gets you outdoors. There’s a recognised association between wellness and outdoor activity. Simply being surrounded by nature is a step towards feeling more relaxed. With the sunshine stimulating our brains and enhancing our mood, there’s no better all-natural way to manage stress. Even just a few minutes outdoors is beneficial, so if you don’t have enough time for a long ride ….. have a short ride! With a bit of fresh air and sunshine, you’ll blow away the cobwebs in your mind and reconnect with those things that bring you joy. 2. It gets you moving. Sedentary behaviour is considered a modern danger to our health with risks so serious that the problem has been compared to that of smoking. Physical activity refers to general movement throughout the day, so it has a broader meaning than ‘exercise’. Bike riding is a low impact activity and therefore a great choice for people of all ages and abilities. 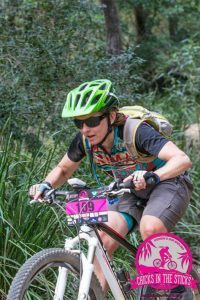 MTB in particular gets your whole body moving as you navigate rougher terrain. 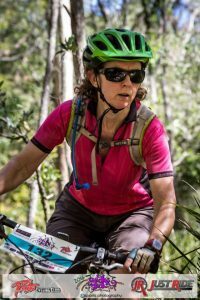 You can jump on your mountain bike to commute to and from work on paved surfaces, or hit the trails that are purpose built for recreational use. 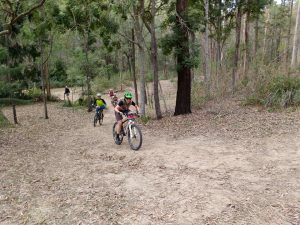 Cross country, downhill, enduro, freestyle, trials, or whatever is your preference ….. the main idea is to get your body moving. Formal or structured meditation practices are very helpful for developing skills of attention, concentration, relaxation and mood management. Some people find it very challenging to stay still enough to engage with this process. Whether you meditate in this way or not, you can still reap the benefits of mindfulness practices by fully bringing your attention and awareness to your bike riding. 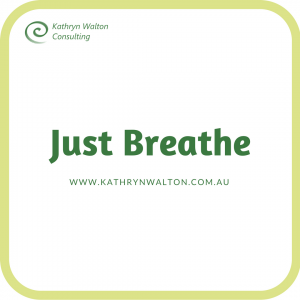 Visualise your attention as a narrow laser beam and focus on your actions and your surroundings using your senses – in particular notice what you see, hear, smell and feel. Notice the fluid movement of your body in response to the terrain, the smell of the pine trees, the breeze on your face, the physical features of the trail in front of you. When thoughts about work or other issues arise, simply refocus on your ride. Before you know it, you’ll have let go of some of those things you’ve been worrying about and given your brain a well-earned rest. What are the 3 best things that you’ve discovered about mountain biking?